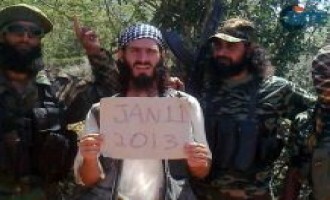 The Shabaab al-Mujahideen Movement announced that it executed its French hostage, Denis Allex, as punishment for French soldiers’ alleged killing of civilians during the failed rescue attempt and what it sees as France’s belligerent policy towards Muslims in general. The Shabaab al-Mujahideen Movement released a video of its charitable distribution of camels and livestock to needy Somalis in Juba region of Somalia. 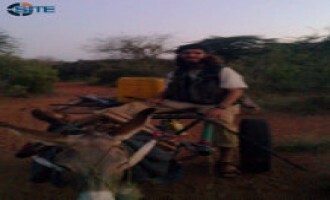 The Shabaab al-Mujahideen Movement reported that the French commander it captured after the failed operation to rescue Denis Allex in Lower Shabelle region of Somalia, has died, and in pictures, displayed his body as one of the spoils of the clash. The Kenya-based Muslim Youth Center (MYC) commented on the controversy between Omar Hammami (AKA Abu Mansour al-Amriki) and the Shabaab al-Mujahideen Movement, taking the latter’s side that Hammami’s public airing of grievances is to promote his own worth. The Shabaab al-Mujahideen Movement claimed it foiled France’s overnight operation to rescue a kidnapped French national, Denis Allex, and in the process, captured an injured French soldier. 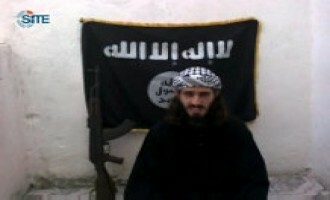 Omar Hammami (AKA Abu Mansour al-Amriki) discussed his deteriorating relationship with Shabaab al-Mujahideen Movement leaders and his suspicion of their wanting to kill him in the second part of his document exposing the inner workings of the group. In the second of the two documents accompanying his "final appeal" video, Omar Hammami (AKA Abu Mansour al-Amriki) exposed the inner workings of the Shabaab al-Mujahideen Movement and detailed the conflict between Somali and foreign fighters. Omar Hammami (AKA Abu Mansour al-Amriki) presented a brief history of al-Qaeda in Somalia and the founding of the Shabaab al-Mujahideen Movement in one of the two documents accompanying his "final appeal" video. Omar Hammami (AKA Abu Mansour al-Amriki) released a video giving his "final appeal" to jihadi leaders to intervene on his behalf in the issues between him and the Shabaab al-Mujahideen Movement. 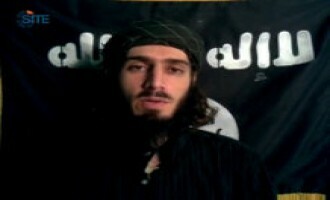 In a series of Twitter posts on January 5, 2013, the representative of Omar Hammami (AKA Abu Mansour al-Amriki) on social networking websites launched into a diatribe against the Shabaab al-Mujahideen Movement, exposing its hatred for foreign fighters and its fear of internal opposition. The representative of Omar Hammami (AKA Abu Mansour al-Amriki) on social networking websites including Twitter and YouTube, claimed that the Shabaab al-Mujahideen Movement gave Hammami a period of 15 days to disarm or be killed. The Shabaab al-Mujahideen Movement claimed 29 attacks in a nine-day period against AMISOM and Somali forces, and reported its concluding Shariah education courses it held for women and city "notables". 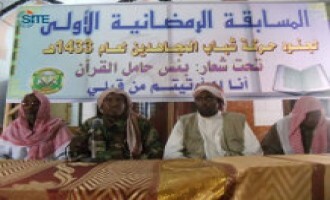 The Shabaab al-Mujahideen Movement condemned the Intergovernmental Authority for Development (IGAD) Joint Committee's Grand Stabilization Plan for South-Central Somalia from December 6, 2012, calling it the "coordinated implementation of the grand occupation". 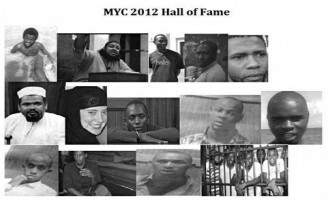 The Kenya-based Muslim Youth Center (MYC) celebrated "great triumphs" in 2012, including youths throughout East Africa being inspired to participate in jihad and Kenya becoming a "legal war zone." Labeik Media Foundation, a group affiliated with the Somali al-Qimmah jihadist forum, released the first part of responses given by a religious figure in the Shabaab al-Mujahideen Movement to an open interview with jihadists. 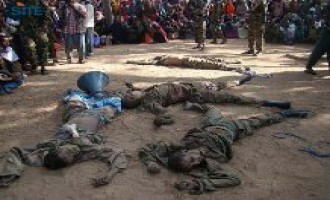 The Shabaab al-Mujahideen Movement claimed 33 attacks against AMISOM and Somali security forces in an eleven-day period, including the murder and crucifixion of two militia elements it accused of "cutting off the road to travelers" between the cities of Merca and Mogadishu. The representative of Omar Hammami (AKA Abu Mansour al-Amriki) on social networking websites including Twitter and YouTube, remarked on the Shabaab al-Mujahideen Movement's charge that Hammami demonstrated "childish petulance" in publicly airing his grievances with the group. The Kenya-based Muslim Youth Center (MYC) addressed a message to its leader, Ahmad Iman Ali, pledging to maintain its commitment to him and praising him for his work in Somalia. 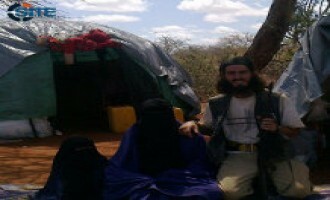 The Shabaab al-Mujahideen Movement responded to the controversy surrounding Omar Hammami AKA Abu Mansour al-Amriki, regarding his allegations that there exists dissension within the group between Somali and foreign fighters, and that he believes the group wants to kill him. 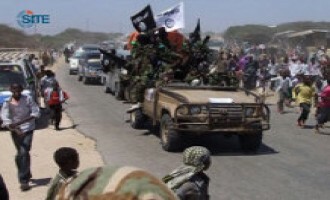 The Shabaab al-Mujahideen Movement claimed that its "intelligence units" in the Somali capital, Mogadishu, bombed a convoy carrying a top American counterterrorism official for East Africa. The Kenya-based Muslim Youth Center (MYC) declared that while it is focusing its efforts on supporting jihad in Kenya and East Africa, it remains committed to the jihad in Somalia waged by the Shabaab al-Mujahideen Movement. 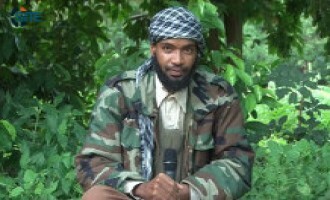 Shabaab al-Mujahideen Movement leader Mukhtar Abu al-Zubeir spoke in an audio speech about events that transpired in the last year in United States, Somalia and the Muslim world, and urged Muslims in East Africa to participate in and support jihad. Shabaab al-Mujahideen Movement leader Mukhtar Abu al-Zubeir praised Ansar al-Shariah in Yemen as a "noble example," and vowed to Muslims and jihadist leaders to remain steadfast until victory. The Shabaab al-Mujahideen Movement claimed 52 attacks against Burundian, Ethiopian, Kenyan and Somali forces in a two-week period, and pledged to retake Kismayo after losing control in September 2012. The Nigeria-based Boko Haram released a video speech from its leader, Abu Bakr Shekau, expressing his group's solidarity with al-Qaeda-affiliates in Afghanistan, Iraq, North Africa, Somalia and Yemen, and threatening Nigerian security forces with death. The Shabaab al-Mujahideen Movement condemned a video showing Kenyan Defense Forces (KDF) soldiers beating suspects to extract information from them, charging that the beaten men are civilians and the footage shows the KDF's "level of hatred" for Muslims. The Tanzanian branch of the Muslim Youth Center (MYC) encouraged aspiring fighters in East Africa to travel to Somalia for jihad and ignore the "few tactical setbacks" suffered by the Shabaab al-Mujahideen Movement. The representative of Omar Hammami AKA Abu Mansour the American, on social networking websites including Twitter and YouTube, posted that Hammami acknowledged the FBI adding him to its Most Wanted Terrorists list, and is proud of the designation. The Shabaab al-Mujahideen Movement claimed responsibility for 18 attacks throughout Somalia and reported that it concluded two Shariah education courses, one for doctors and hospital staff, and the other for teachers. 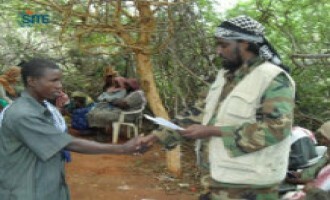 The Shabaab al-Mujahideen Movement released the video of the January 1, 2012, allegiance ceremony in which the Gaaljecel tribe in Hiran region of Somalia pledged to the group. The Shabaab al-Mujahideen Movement condemned Israel's latest military campaign in Gaza and urged Muslims, particularly those in region, to help the Palestinians. Muhammad bin Abdullah, the Shabaab al-Mujahideen Movement's "governor" for Lower Shabelle region of Somalia, incited Muslims to participate in jihad and fight until they become "martyrs" in his sermon delivered for the occasion of Eid al-Adha, the Festival of Sacrifice. The Shabaab al-Mujahideen Movement reported that its fighters hit a Kenyan military ship docked in the port of Kismayo with 4 RPG shells, and claimed 18 others attacks against AMISOM and Somali forces. Shabaab al-Mujahideen Movement leader Mukhtar Abu al-Zubeir spoke on the war in Somalia and the establishment of the Federal Government of Somalia in an audio speech released for the occasion of Eid al-Adha, the Festival of Sacrifice. 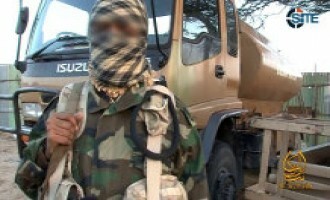 The Shabaab al-Mujahideen Movement claimed 24 attacks throughout Somalia and reported that Ali Jabal, its "governor" for Banaadir region, pledged to double military operations inside the capital, Mogadishu. 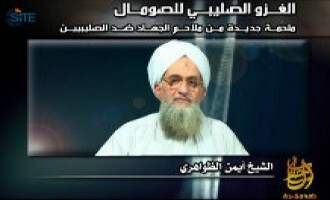 Al-Qaeda leader Ayman al-Zawahiri promoted jihad in Somalia against AMISOM and Kenyan forces in a new audio speech, urging Somalis to participate in fighting and calling Muslims all over the world to offer support. 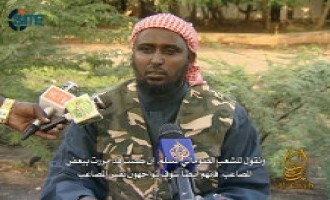 The Shabaab al-Mujahideen Movement reported that its spokesman Ali Mahmoud Ragi AKA Ali Dheere, responded in an interview to Uganda announcing its intention to withdraw its forces from the UN-based mission in Somalia, claiming that it's "purely hypocritical" and "intended to deceive the Ugandan public". 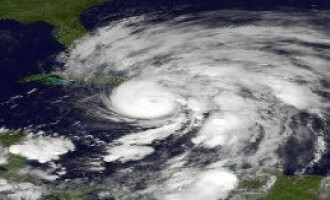 The Shabaab al-Mujahideen Movement remarked that Hurricane Sandy, which devastated many areas in the Caribbean and East Coast and mid-Atlantic of the United States, was a disaster imposed by God for rejecting Islam. 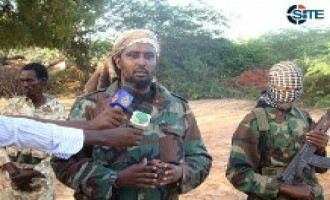 The Shabaab al-Mujahideen Movement reported that its military spokesman, Abdul Aziz Abu Musab, held a press conference in which he stated that 30 enemy soldiers were killed in ambushes near a village on the Mogadishu-Baidoa road. 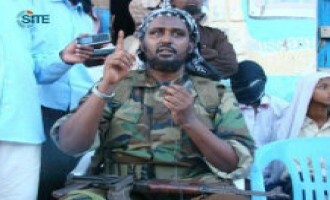 The Shabaab al-Mujahideen Movement reported that in his speech for Eid al-Adha, the Festival of Sacrifice, the group's leader, Mukhtar Abu al-Zubeir, threatened Kenya over its military involvement in Somalia. As a "gift" for Eid al-Adha, the Festival of Sacrifice, the Shabaab al-Mujahideen Movement released the second episode in its "The Cubs of the Martyrs" video series, showing a presentation by children sponsored by the group's "al-Shaheed Foundation." The Shabaab al-Mujahideen Movement claimed nine attacks against AMISOM and Somali forces, including a "head of apostasy," and reported its holding religious education courses for tribal leaders and women. The Shabaab al-Mujahideen Movement released a statement on Britain's extradition of radical cleric Abu Hamza al-Masri to the United States, calling it a "clear indication of the blatant Western aggression and hatred of Islam and Muslims." 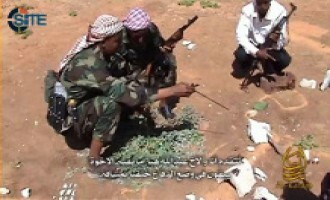 The Shabaab al-Mujahideen Movement claimed 28 attacks against Burundian, Ethiopian, Kenyan and Somali forces in Somalia, and reported its burning of confiscated drugs in public squares. The Shabaab al-Mujahideen Movement threatened that Britain will "pay the heftiest price" for its role in the alleged war on Islam, and in particular, its extraditing radical cleric Abu Hamza al-Masri to the United States. Omar Hammami AKA Abu Mansour al-Amriki addressed jihadi leaders and scholars in a new video message, urging they intervene to ease the "friction" between Somali and foreign fighters in the Shabaab al-Mujahideen Movement. 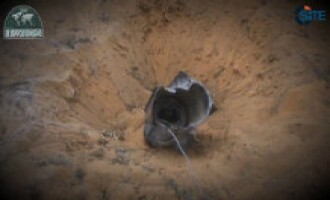 The Shabaab al-Mujahideen Movement claimed responsibility for sixteen attacks including the assassinations of Somali government officials as well as operations against Somali police officers, and threatened to launch large-scale operations against highway robbers and thieves in the Lower Shabelle province. The Shabaab al-Mujahideen Movement banned the aid group Islamic Relief from operating in its areas of control in Somalia, saying that it failed to comply with its guidelines. 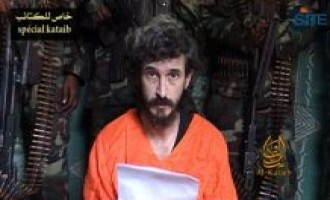 The Shabaab al-Mujahideen Movement released a video from its French hostage, Denis Allex, appealing to French President Francois Hollande to negotiate for his release and save him from death. Shabaab al-Mujahideen Movement spokesman Ali Mahmoud Ragi AKA Ali Dheere, released an audio message urging Muslims to take the storming of the American embassy in Benghazi, Libya, as a model for supporting the Prophet Muhammad. The Shabaab al-Mujahideen Movement released a video showing three of its restoration projects in Lower Juba region of Somalia, including a main road in Kismayo. 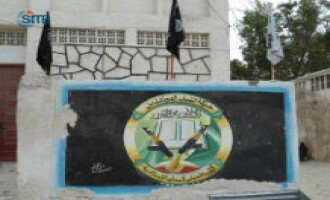 The Shabaab al-Mujahideen Movement responded to an announcement in which Hizb al-Islam (Islamic Party) declared its split from the group after the two merged in December 2010, and claimed ten attacks, including the assassination of a Somali parliamentarian Mustafa Muhammad Hajj. The Shabaab al-Mujahideen Movement threatened Kenyan forces that their attempts to take control of Kismayo, the capital of Lower Juba region of Somalia, will results in "hundreds" of deaths and injuries in their ranks. The Kenya-based Muslim Youth Center (MYC) rejected Kenya's amnesty offer to denounce violence and threatened that its members in Kenya, Somalia and Tanzania will fight Kenyan Defense Forces (KDC) if they advance on Kismayo, the Shabaab-controlled capital of Lower Juba region of Somalia. The Shabaab al-Mujahideen Movement claimed responsibility for a twin suicide bombing at the al-Jazeera Hotel in the Somali capital, Mogadishu, where senior Somali government officials including President Hassan Sheikh Mohamud were staying. The Shabaab al-Mujahideen Movement rejected the Somali presidential election, calling it illegitimate due to the occupation of the country, and remarked that the selection of Hassan Sheikh Mohamud is a "further attempt to hoodwink the oppressed Somali people." 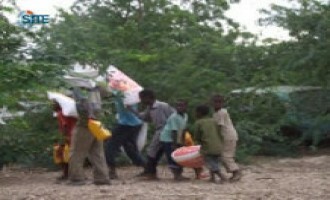 The Shabaab al-Mujahideen Movement claimed killing and injuring dozens among AMISOM and Somali forces in ten attacks, and reported its distributing aid to civilians whose homes were burned after a fire in residential areas of Moqokori district in Hiran region. 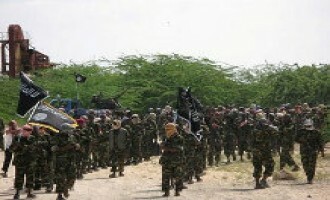 The Shabaab al-Mujahideen Movement claimed victory in an "epic" battle with Kenyan forces and Somali militia elements near Shabaab-controlled Kismayo, the capital of Lower Juba region in southern Somalia. 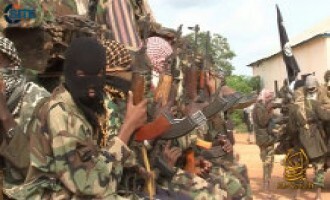 The Shabaab al-Mujahideen Movement claimed attacks against Somali forces and Burundian, Kenyan and Ugandan troops involved in the AMISOM mission, and reported that Kenyan military aircraft bombed residential areas in Bardheere district of Gedo region in southwestern Somalia. The Shabaab al-Mujahideen Movement released a video focusing on its raid on a military center of Somali militias in Hayo village in Lower Juba region of southern Somalia. The Shabaab al-Mujahideen Movement claimed eleven attacks against Burundian, Somali and Ugandan forces in Somalia, and reports its holding Shariah classes for businessmen, laborers, village elites and women. 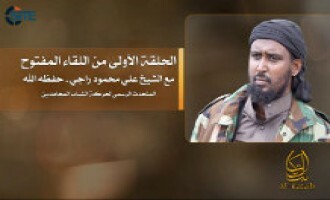 The Shabaab al-Mujahideen Movement released the first part of answers from its spokesman, Ali Mahmoud Ragi AKA Ali Dheere, to questions posed by members of the jihadist forum community. 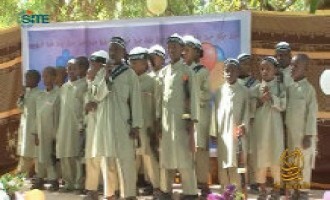 The Shabaab al-Mujahideen Movement claimed killing nearly 70 Kenyan soldiers in a clash in the area of Fafadun in Gedo region in southern Somalia, and gave the results of the Qur'an memorization competition it held for its fighters. 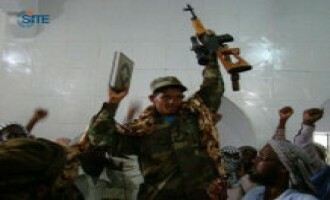 The Shabaab al-Mujahideen Movement reported nine attacks against AMISOM and Somali forces from August 13-15, 2012, and announced that it is currently holding the first Qur'an competition to be opened to its fighters. 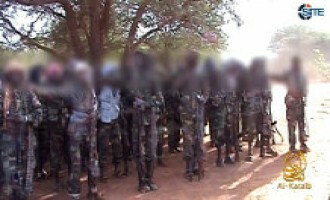 The Shabaab al-Mujahideen Movement claimed that its fighters killed 60 Ethiopian soldiers in a clash in Hudur district of Bakool region in southern Somalia, and reported over 40 other attacks against Burundian, Ethiopian, Kenyan and Somali forces. 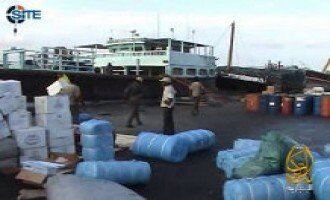 The Shabaab al-Mujahideen Movement released a video highlighting the security that workers enjoy at Kismayo Port in Lower Juba region of Somalia thanks to its Shariah-based governance. 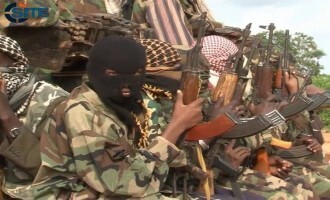 The Shabaab al-Mujahideen Movement reported that two of its fighters carried out suicide bombings at the National Constituent Assembly in the Somali capital, Mogadishu, killing and injuring dozens, and claimed over 75 attacks against Burundian, Ethiopian, Kenyan and Somali forces. 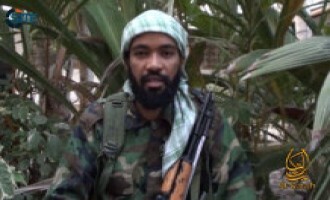 Mukhtar Abu al-Zubeir, the leader of the Shabaab al-Mujahideen Movement, incited Somalis in the "Islamic provinces" of the country to participate in jihad and join the group in fighting the enemy. The Shabaab al-Mujahideen Movement claimed the assassination of a former Somali trade minister and current member of parliament, and reported on several attacks by its fighters throughout Somalia, as well as their dealing with civilian court cases. The Shabaab al-Mujahideen Movement reported that it publicly executed three men it convicted of working for American and British intelligence agencies. 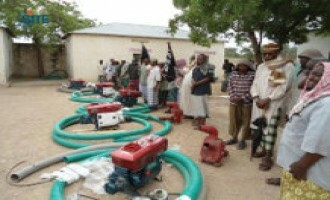 The Shabaab al-Mujahideen Movement remarked on a mass arrest campaign by Somali forces in the capital, Mogadishu, and claimed several attacks against enemy troops in four communiqués issued on jihadist forums on July 17, 2012. The Somalia-based Islamic World Issues Study Center (IWISC) released a booklet that calls upon lone-wolves and small cells to target civilian sites and corporate and government interests. The Shabaab al-Mujahideen Movement reported that Somali President Sharif Sheikh Ahmed escaped from two ambushes launched by its fighters along the road between the Somali capital, Mogadishu, and the city of Bal'ad. 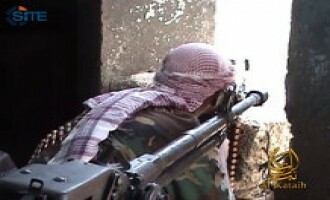 The Shabaab al-Mujahideen Movement reported that its fighters in the Somali capital, Mogadishu, attacked Somali forces and police and the house of a government official, and ambushed two enemy vehicles along the road between Mogadishu and Bal'ad. 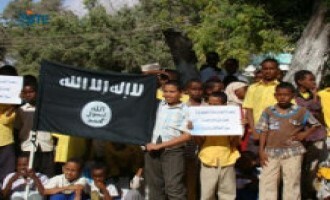 The Shabaab al-Mujahideen Movement claimed killing a large number of enemy forces in a four-day span, including 30 Ethiopians in an ambush near Baidoa, and reported its concluding two Shariah courses for residents in two Somali cities. Jihadists Launch Swahili/English Magazine, "Terrorism Street"
Jihadists launched a pro-Shabaab magazine called "Gaidi Mtaani," or "Terrorism Street," containing articles written in English and Swahili and focusing on Kenya and Somalia. The Shabaab al-Mujahideen Movement released the first episode in a documentary-style video series promoting the Shariah-based governance it imposed on regions in central and southern Somalia. The Shabaab al-Mujahideen Movement claimed an ambush against a Kenyan military convoy in Haluqa, which they say is "20km inside the colonial-defined Kenyan border," and threatened additional attacks inside the country. 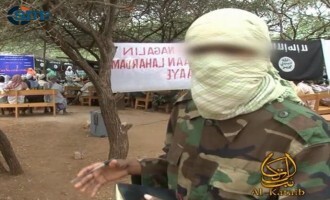 The Shabaab al-Mujahideen Movement reported on its concluding two Shariah courses it held for high school graduates and merchants, and claimed several attacks including ambushes against AMISOM and Somali forces. 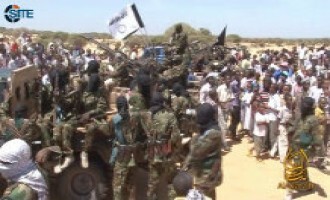 The Shabaab al-Mujahideen Movement announced that a tribe in central Somalia pledged allegiance to it and promised to participate in fighting when commanded to do so. 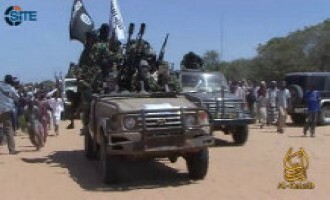 The Shabaab al-Mujahideen Movement reported that moments prior to the suicide bombing in Afgoye that hit an intelligence camp, the executor spoke in an interview with its al-Andalus radio station and threatened that more suicide bombings are to come. 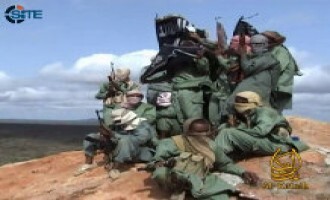 The Shabaab al-Mujahideen Movement reported that for the first time, its fighters struck Sierra Leonean forces, ambushing them in Gedo region of Somalia on June 13, 2012. 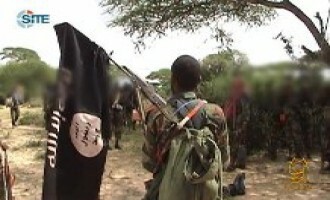 The Shabaab al-Mujahideen Movement claimed that its fighters recaptured two cities in Galguduud region of central Somalia, and that they attacked Ethiopian forces as they withdrew. 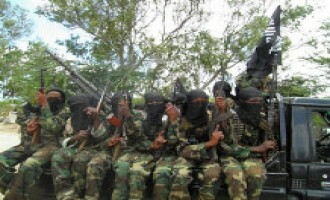 The Shabaab al-Mujahideen Movement claimed several attacks against AMISOM, Ethiopian, Kenyan, and Somali forces in Somalia, and reported on its other activities, such as setting up a branch of al-Andalus Islamic radio in the city of Buuloburde in Hiran region. Fuad Muhammad Khalaf, an official in the Shabaab al-Mujahideen Movement, offered rewards for information about the “hideouts” of US President Barack Obama and Secretary of State Hillary Clinton. 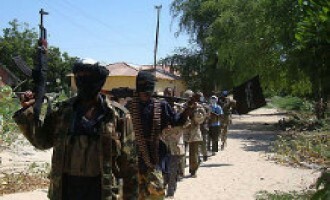 The Shabaab al-Mujahideen Movement reported that members of its administration in the city of Haradhere in Mudug region of Somalia reconciled between two warring tribes, and claimed several attacks against AMISOM and Somali forces. Labeik Media Foundation, which is affiliated with the Somali al-Qimmah jihadist forum, announced an open interview with Sheikh Abu Salman Hassan Hussein Adam, a scholar in the Shabaab al-Mujahideen Movement. The Kenya-based Muslim Youth Center (MYC) lauded its chief, Ahmad Iman Ali, as an "exceptional mujahid," and predicted a "game-changer" event in the coming weeks. 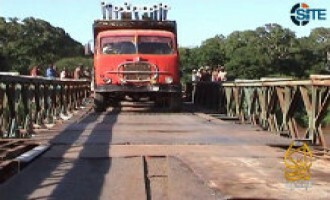 The Shabaab al-Mujahideen Movement reported on several ambushes its fighters launched against a convoy carrying Somali President Sheikh Sharif Ahmed between Mogadishu and Afgoye on May 29, 2012. 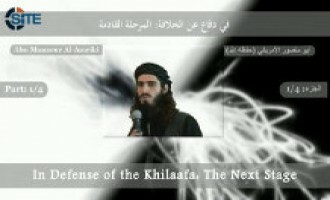 Omar Hammami AKA Abu Mansour al-Amriki proposed establishing an Islamic Caliphate and stopping the proliferation of local jihadi fronts in an English-language audio lecture entitled, "In Defense of the Khilaafa: The Next Stage." The Shabaab al-Mujahideen Movement released a fatwa signed by 25 Somali scholars about the draft constitution for Somalia and its illegality in terms of Islamic Shariah. The Somalia-based "Islamic World Issues Study Center" (IWISC) released a video highlighting what it sees as American participation in the massacres taking place in the country. The individual behind the recent postings of material from Omar Hammami provided a picture of Hammami posing with a laptop computer on which the cover of his autobiography is displayed. The Shabaab al-Mujahideen Movement announced the conversion to Islam of an Ethiopian soldier who surrendered to its fighters. Al-Qaeda in the Arabian Peninsula (AQAP) released an audio speech from its deputy leader, Abu Sufyan al-Azdi AKA Saeed al-Shahri, praising the leaders of al-Qaeda in the Islamic Maghreb (AQIM) and the Shabaab al-Mujahideen Movement. 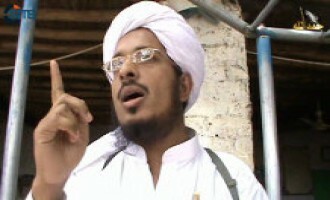 A jihadist reported that a Somali fighter was killed in a US drone strike in Yemen. 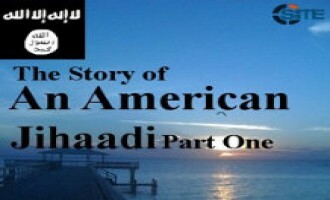 A Somali jihadist released the first part of an autobiography allegedly written by Omar Hammami AKA Abu Mansour al-Amriki, titled, "The Story of an American Jihaadi." 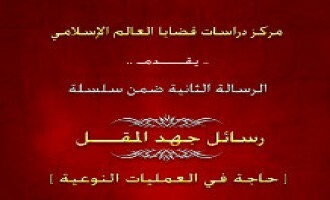 The 128-page text was posted on the Scribd document sharing website on May 16, 2012. 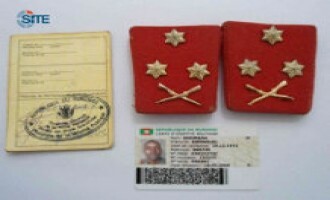 The Shabaab al-Mujahideen Movement reported that elements from its "special forces" brigade killed a high-ranking Burundian officer in the Somali capital, Mogadishu, and took documents from him.